KENT STATE STUDENTS ARE WORKING TOGETHER TO PROMOTE WASTE AWARENESS ON CAMPUS. Kent State students who are enrolled in the Communication in a Global Society class are coming together to educate their peers on Fossil Fuel usage. 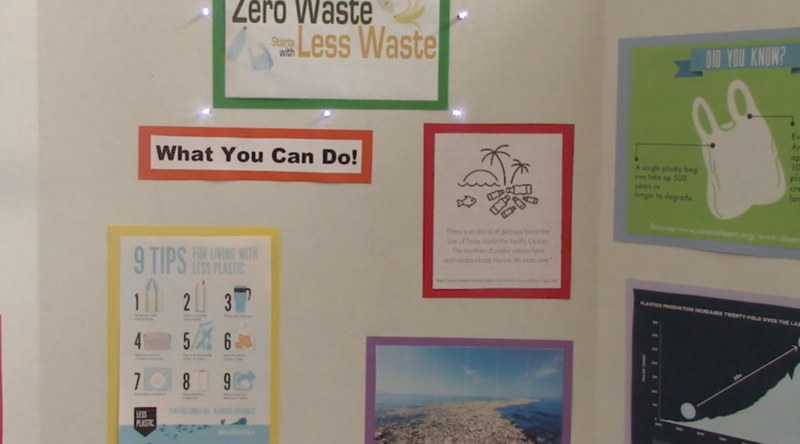 They’ve named their group project “Zero Waste is Less Waste.” Focusing on food and plastic waste, the group of students hope to shed some light on this environmental issue. Professor Stephaine Smith teaches the class and explained that her goal was to dedicate a whole week of events to the problem. “What I decided to do was identify a problem, fossil fuels and see if we could have a week of events to focus on that,” said Smith. The group of students decided that inside the Eastway Center would be the best place to target their peers, coming in and out of the campus’ most popular dining hall. They set up two different informational booths, one on the first floor and one on the second floor. 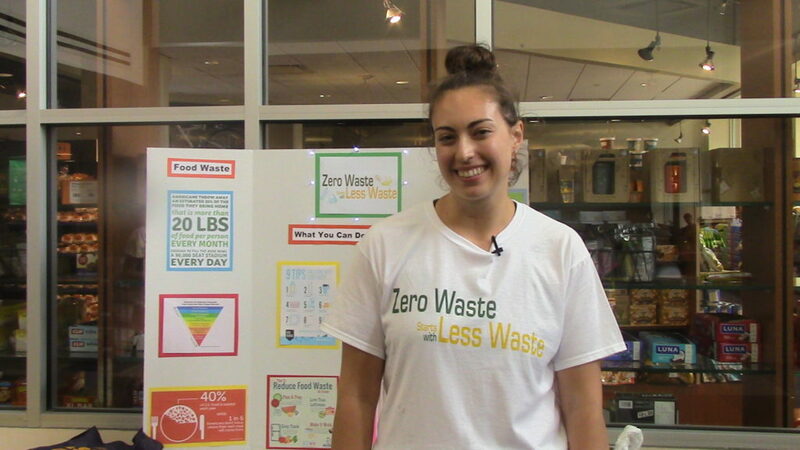 “So what we’re asking of students is to commit to a zero waste lifestyle with either plastic or food waste,” said Communications Major Marina Bundi. 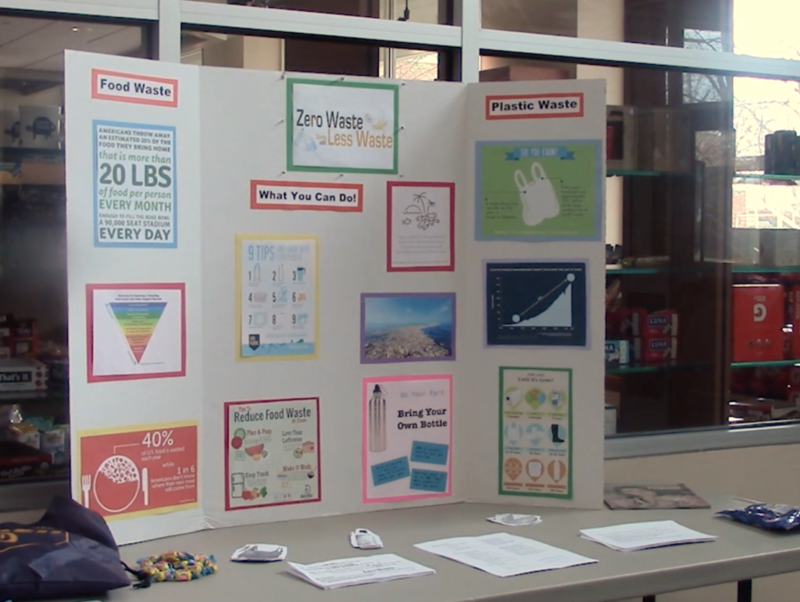 The Zero Waste is Less waste booth displayed in the Eastway Center on Wednesday, April 10th, showcasing facts about Fossil Fuels. The booths include several different engaging activities for their peers to learn from, as well as facts and statistics on waste and fossil fuels. Students even created a twitter poll asking people which they would be more committed to; wasting less food in the dining halls OR using less plastic. Senior, Communications major Marina Bundi. “The goal of the event is to see how well they can take a complex problem, and convince their peers to make a small commitment to make a change on a global issue,” said Smith. Smith is hoping that her students use this assignment as guidance when facing global issues in the future. Once the project is over and the research has been gathered the groups will then present this information to their peers in class. The hope for this research is that the students use it to present in undergraduate symposiums later on in their Kent State career. “We want to promote students to really think about how much food their wasting and how much it’s affecting the environment,” said Bundi. Group members say that they hope their project has a lasting effect on their fellow students and that the research they’ve shown them makes them want to do something more in order to help this cause. “We hope that students stick with the mentality of either using less plastic and wasting less food throughout their time here at Kent State,” said Bundi.